Cheltenham Clocks is a family run clock restoration business, located in Lansdown in Cheltenham. 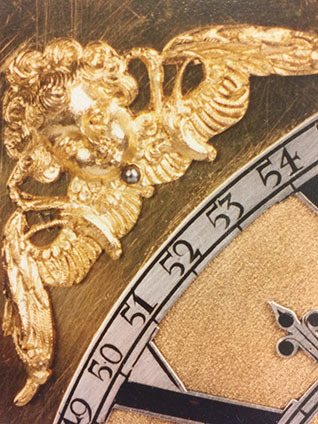 Roger and James Wolstencroft have established an excellent reputation in the restoration and conservation of fine antique clocks in Cheltenham and the surrounding counties. 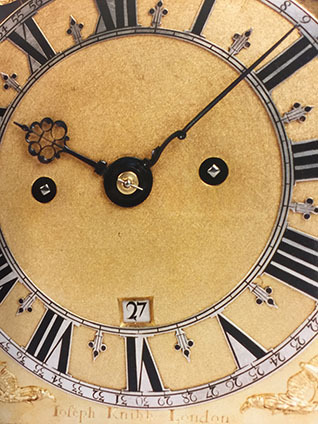 Their restoration workshop in Cheltenham offers a complete restoration and conservation service on quality antique clocks from the 17th to the early 20th century. Please take a look around our site to learn some more about us, and our work. Visit our gallery page to view some more examples of projects we have worked on. Or to find out where we are based and get in touch please visit our contact page. 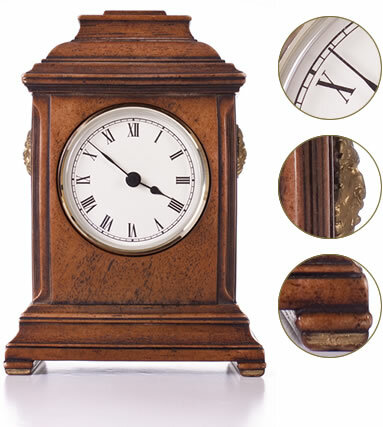 All clocks are restored sympathetically, preserving the authenticity, to the highest standard. 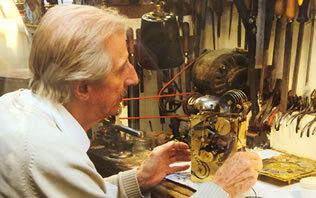 The clocks restored are treated with proper respect which comes from many years of experience in the field. A wide range of work and experience has meant that Roger and James have built an in depth knowledge of fine antique clocks which is reflected in their fine work. Roger or James will discuss all options for your clock prior to commencement of any restoration/repair and give you an estimate for the work to be undertaken. We offer customers the assurance of a one year guarantee of their working order.